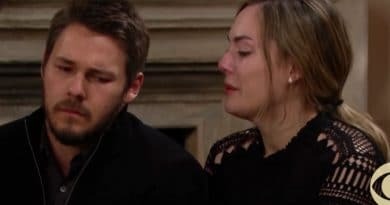 Bold and the Beautiful spoilers tease Liam Spencer (Scott Clifton) flies to see Steffy Forrester (Jacqueline MacInnes Wood) with the news she’s raising a Logan baby. Fans can only imagine what can of worms this reveal will open for the two families on the CBS soap. Just when you think this baby swap couldn’t get any more complicated – boom, it does. B&B spoilers predict next week starts out with Hope Logan (Annika Noelle) and Liam Spencer discussing who will tell Steffy the crazy news. Bold and the Beautiful Spoilers: Liam Spencer Jets to Steffy Forrester? This isn’t news that you deliver over the phone. So, it looks like Hope insists Liam Spencer go see Steffy. B&B spoilers hint Hope pushes Liam to visit his daughter. So, while he’s there he can deliver the news in person as well. Once the DNA results flagged Flo Fulton (Katrina Bowden) as a member of the Logan family, there’s no going back. Steffy Forrester is now allegedly raising the offspring of a Logan. This is a game-changer, as it now involves two families who don’t always see eye to eye. Liam is on the front lines to deal with it. Fans got a reminder of how loved Storm Logan (William deVry) was by his family. This happened last week on Bold and the Beautiful. Spoilers remind that Brooke Logan (Katherine Kelly Lang) chatted with her sisters. Katie Logan (Heather Tom) was in tears remembering how Storm gave up his life for her. Will this family now stand by and watch Storm’s granddaughter be raised by a Forrester? Chances are this is a thought that will enter Steffy’s mind when the news is delivered hint the latest B&B spoilers for next week’s episodes. Once Liam Spencer tells her, everything goes sideways. Ironically, if Wyatt Spencer (Darin Brooks) was just a few minutes later delivering the DNA news to Flo, things would be different. Steffy would have legally lost Phoebe (Rosalind Aune and Isabella de Armas). Hope would have learned Beth is Phoebe, putting the baby swap to bed, according to B&B spoilers. Flo was just about to reveal the truth Wyatt and Shauna Fulton (Denise Richards) burst in. But now Flo may keep this secret. Taylor Hayes (Hunter Tylo) is with Steffy Forrester in Paris. Once the mother-daughter duo gets wind of Phoebe’s roots, the two will probably realize they have a fight on their hands. Plus, Liam knows his daughter Kelly Spencer (Zoe Pennington and Chloe Teperman) bonded with her adopted sister. For this reason, it makes sense that this news worries Liam Spencer as well. It also makes sense for him to be the one to deliver the news to Steffy Forrester, say Bold and the Beautiful spoilers. The fake story that Flo told Steffy Forrester and her mom was she had no family to help her raise her baby. 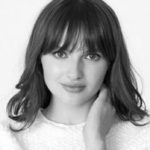 B&B spoilers suggest now that she’s a part of the Logan family, she’s got family galore. It looks like Flo finds this sudden family both a curse and a blessing. It’s probably just a matter of time before Brooke asks Flo to take her baby back on Bold and the Beautiful. This is probably something that pops into Taylor’s mind when she finds out her granddaughter is a Logan. It looks like the CBS soap is laying the groundwork for something big. Knowing Taylor is helping raise Storm’s granddaughter won’t set well with Brooke. Most ironic of all is that even with the baby lie finally exposed (whenever that happens), the baby is still a Logan. What a twisted road to get this infant back to her family starting when Liam Spencer touches down in Paris. Make Soap Dirt your first stop for all your Bold and the Beautiful spoilers. ‘Bold and the Beautiful’ Spoilers: Liam and Hope Marriage On the Rocks After Baby Beth Death?